Why waste your precious vacation time battling crowds and waiting in lines? 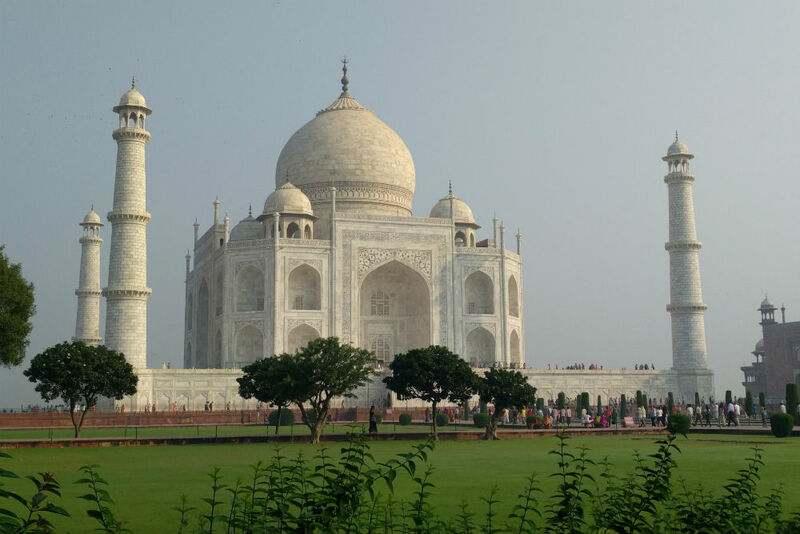 Popular tourist sites the world over grow more congested every year and, sadly, the typical fixes—reserving an entry time, booking a “skip-the-line tour”—are not always a good solution. So I thought I’d share the best fixes I’ve found. Reserving a time slot might make sense at an indoor museum (I wouldn’t show up at Rome’s Borghese Gallery or Florence’s Uffizi without one), but not necessarily at an outdoor monument. When I go to Paris, for instance, I want to hit the Eiffel Tower on a sunny, clear day; what if my entry time, reserved weeks in advance, coincides with rain and fog? Furthermore, I want to take my kids to the Louvre on a rainy day; what if I book skip-the-line tickets for what turns out to be a gorgeous day that we’d rather spend in the Jardin du Luxembourg? As for “skip-the-line tours,” aside from the fact that you can end up herded around in a big group with an annoying guide, they’re often not what they claim to be. A skip-the-line tour of the Vatican might get you past the ticket-buying line but not the security line. I’d rather be one of the handful of travelers who gets to eat breakfast at the Vatican and see it before it opens to the public. By far the best way I’ve found to avoid crowds and bypass lines is to book your trip through the right travel fixer—someone who knows every insider trick at your destination and can leverage his/her superlative relationships there on your behalf. Such destination specialists can get you into sites at off-hours when they are empty and even into places that are off-limits to the public. The right person can get you past the mobs at Angkor Wat or ensure a crowd-free sunset at the Taj Mahal. You can even have Istanbul’s Hagia Sophia all to yourself. These Trusted Travel Experts can, in fact, arrange an entire trip that spares you from every line. And all you need to do is show up. Find out if there’s a side or back entrance. Sometimes there is an alternate entrance with a shorter line or none at all. In Paris, my family entered the Louvre via the Porte des Lions and saved ourselves from an hour-long line at the Pyramid entrance. 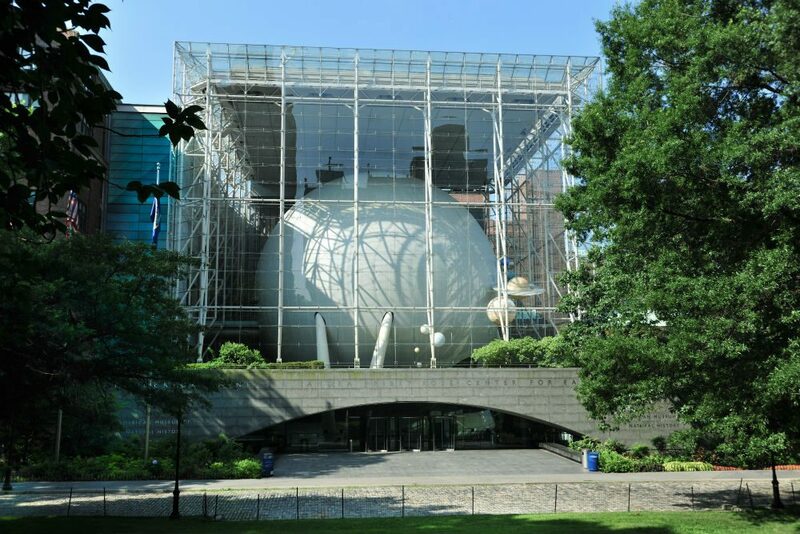 At the Museum of Natural History in New York City, if there’s a line at the Central Park West entrance, you can enter via the Rose Center for Earth and Space or via the 81st Street subway station. A lot of people assume sunset is best, but at many outdoor iconic monuments—Angkor Wat in Cambodia, Mount Sinai in Egypt, Petra in Jordan—sunrise is better. You get equally great light for photos but fewer crowds to spoil them. Sunrise is better for seeing neighborhoods too. In popular destinations that are touristy from 9 am till midnight, it’s from 6 to 9 am that you can see the locals living their everyday lives—merchants opening their shops, kids going to school, fishermen delivering their catch to the fish market, etc. Not all landmarks are accessible at night, but those that are are usually worth seeing at that time. The Lincoln Memorial in Washington, D.C., for instance, is beautifully lit and especially poignant at night. 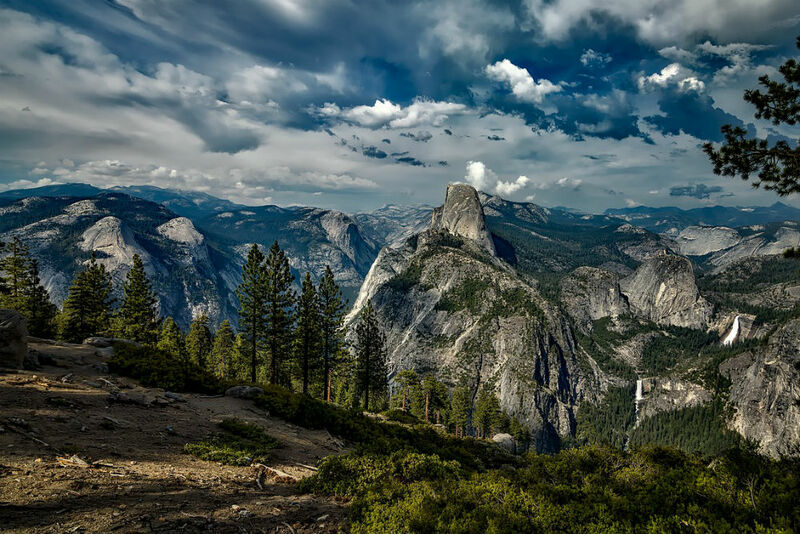 Park rangers are actually there to answer your questions until 10 pm. 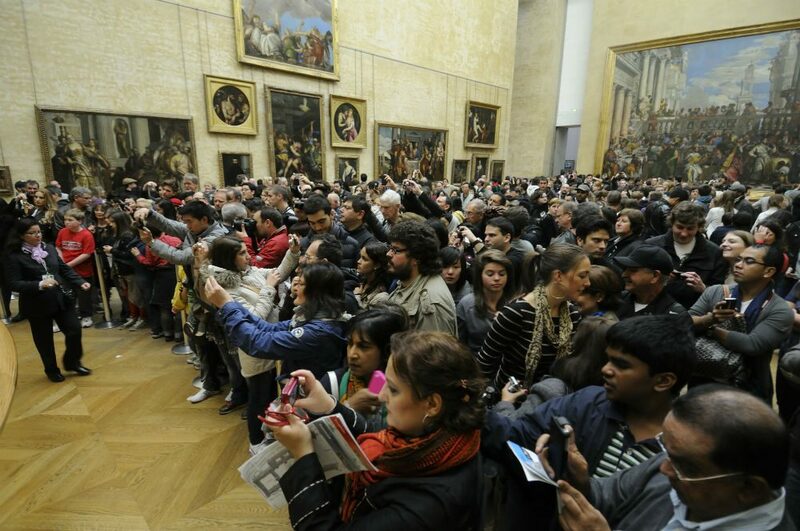 Remember that world-class museums are usually open on at least one night of the week. London’s Tate Modern, as just one example, stays open till 10 p.m. on Fridays and Saturdays. 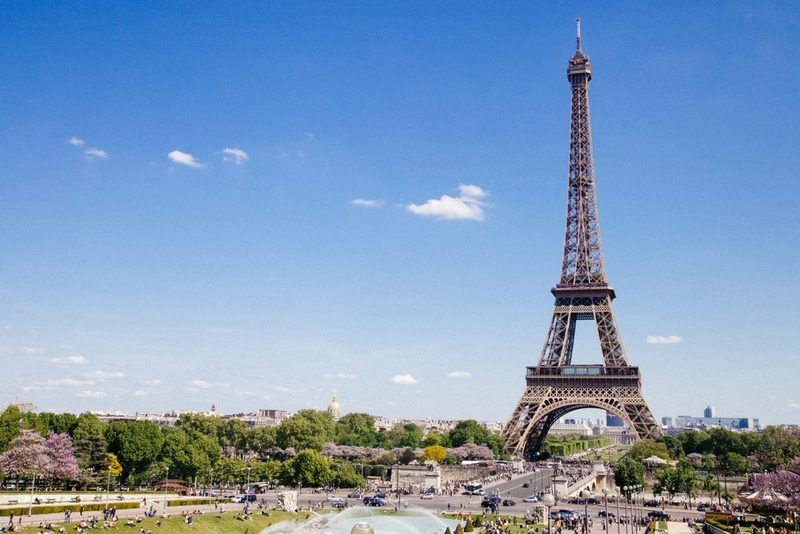 The Eiffel Tower admits visitors until midnight in summertime—and sparkles at night too. 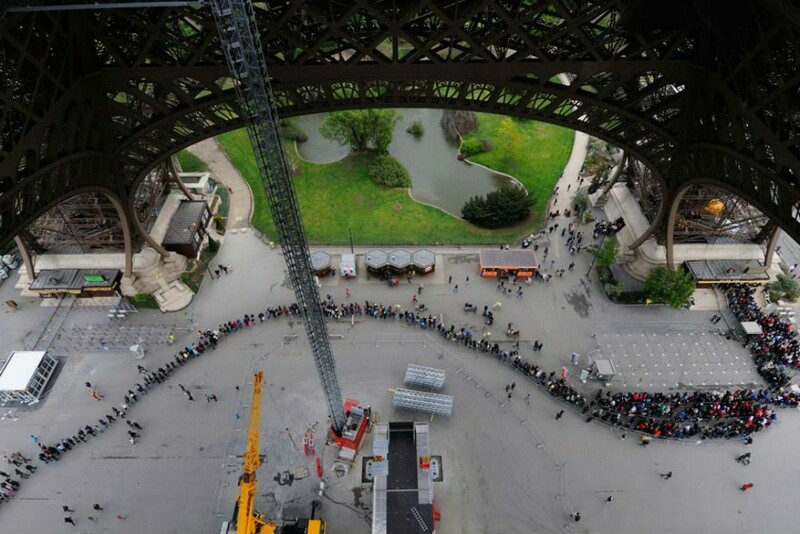 A two-hour line at the Eiffel Tower elevators—which we skipped by taking the stairs. Photo: Tim Baker. I’m no athlete, but I’ve climbed to the tops of dozens of bell towers, fortresses, palaces, and cathedrals, and I am here to tell you that the effort has always been well worth it, not just because of the views but because the great majority of visitors don’t make it there. Sometimes the journey itself is a highlight. If you’ve ever followed the circuitous, increasingly narrow route into the cupola of St. Peter’s Basilica in Rome, you know what I mean. My family saved at least two hours at the Eiffel Tower by climbing the 670 steps to the second floor and taking the elevator from there to the top, rather than waiting in the scary elevator line at the base. Some cities sell city museum passes that let you bypass the line. For instance, the Paris Museum Pass and the Vienna Pass let you skip the line at dozens of museums and monuments in those cities. If you don’t need a multi-day museum pass because there’s really only one museum you want to see, sometimes you can buy a combination ticket for just three or four related museums (the world-famous one you want to see, plus other lesser museums you’re not interested in). Buy the combo ticket at one of the lesser museums with no line, then use it to skip the line at the museum you want. For example, in Venice, a ticket to the four Museums of St. Mark’s Square allowed me to skip the line at the Doge’s Palace. Arrive at the visitor center before it opens. World-famous sites with visitor centers tend to attract a lot of tour buses. You want to arrive long before they do. At Gettysburg, for instance, be the first inside the Museum and Visitor Center when it opens at 8:00 am (April 1 – Oct 31). If you have no reservation for the U.S.S. Arizona Memorial at Pearl Harbor, get there before it opens at 7:00 am because that’s when tickets for that day are available on a first-come first-served basis. 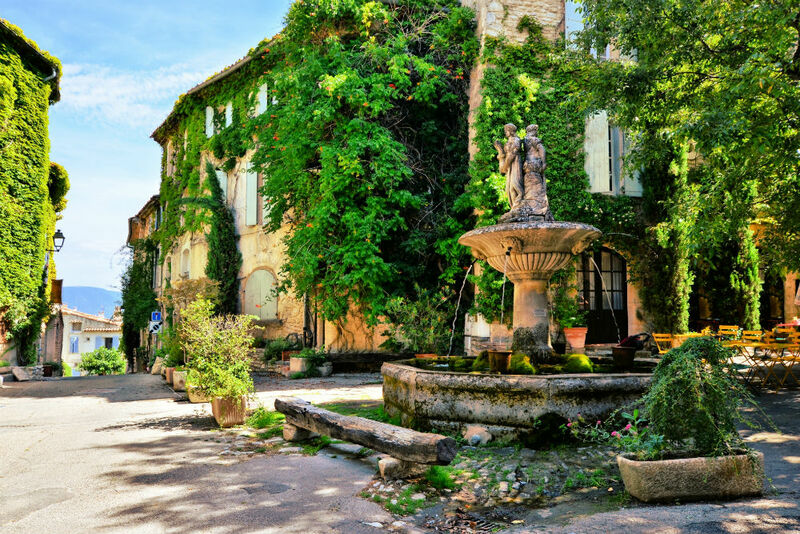 Insider tips for making your trip to Provence go more smoothly, despite the crowds that flock to this popular region. 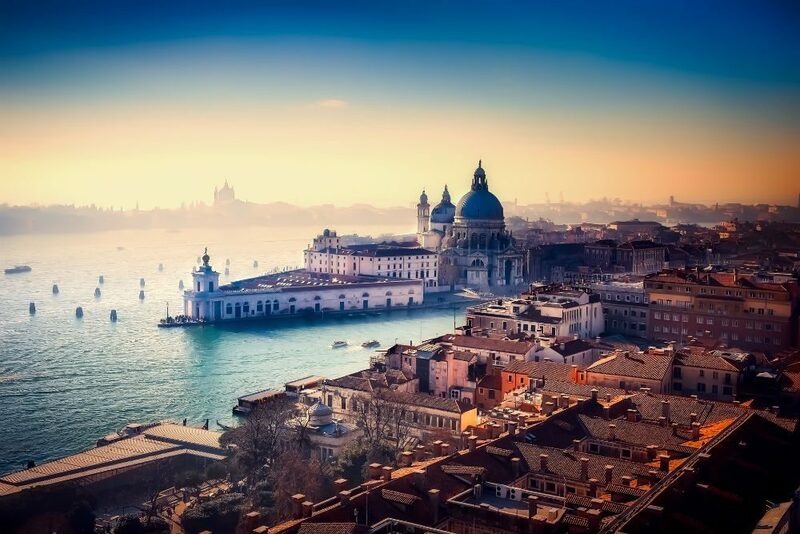 Italy’s top tourist sites are famously overcrowded. 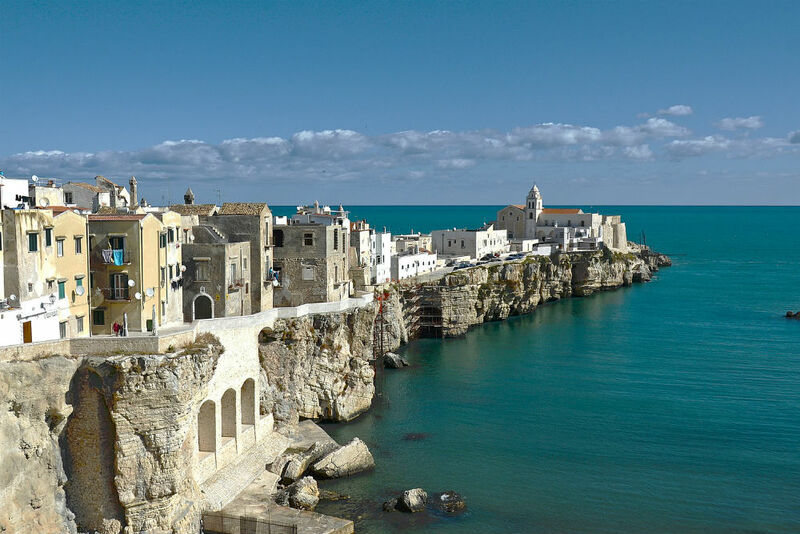 Instead, try these insider alternatives to places like the Amalfi Coast, Cinque Terre, and Tuscany.